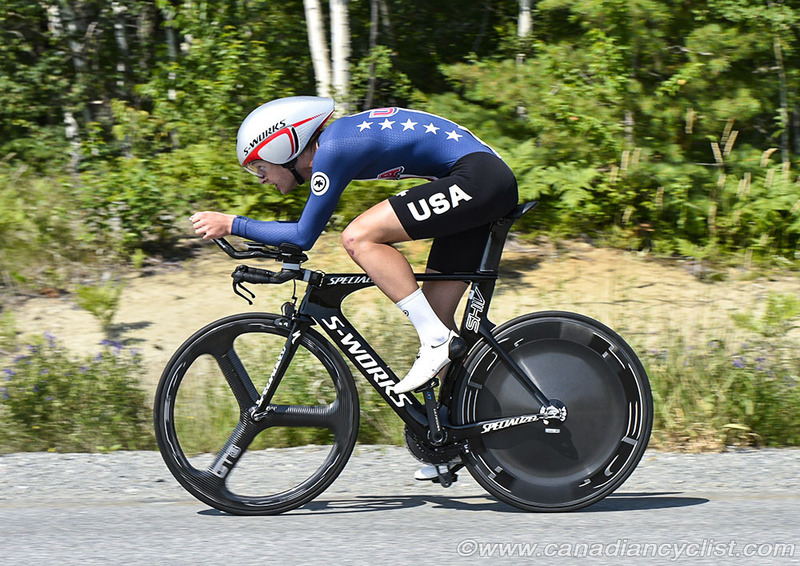 For the third time in as many days, the Tour de l'Abitibi has seen a lead change, with defending champion Riley Sheehan (Team USA) donning the Brown Jersey after finishing third in the individual time trial on Thursday morning. Sheehan's team mate Michael Garrison (Team USA) won the stage, followed by Canadian TT champion Ben Katerberg (TaG Cycling), only two seconds back. 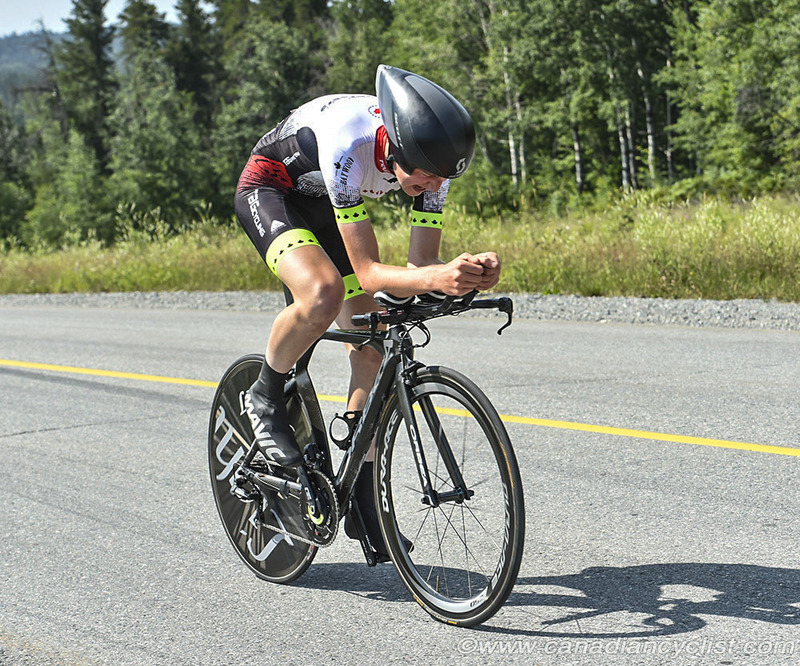 The 11.4 kilometre out-and-back time trial took riders through residential streets in Val d'Or before heading out of town for a steady two kilometre climb to the turnaround point. The return was a fast descent followed by twists and turns. Burnie McGrath (New Zealand), only the seventh rider off, set the early fast time of 15:06, which would eventually prove to be good enough for fifth on the stage. McGrath held the lead until Garrison, the 31st rider to start, knocked 20 seconds off his time, stopping the clock at 14:46, which would prove to be the winning time. Katerberg, with 20 riders to go, would come closest at 14:48, followed by Sheehan at 14:50 and Kendrick Boots (Team USA) at 14:54. Sheehan now leads the overall by five seconds over two Team USA team mates - Boots and Garrison. Katerberg slots in fourth, nine seconds in arrears. Other Canadians in the top-20 include Connor Martin (TaG Cycling) in 11th at 48 seconds, Robin Plamondon (Team Canada) in 12th at 50 seconds, Tristan Jussaume (Team Canada) 14th at 52 seconds, and Ethan Sittlington (Team Ontario) 15th at 53 seconds. There were no changes to the Points or Climber's Jerseys, however, Garrison moves into the Blue Jersey as Best Young Rider. The riders will have a second stage in the evening - a 52.8 kilometre race near Malartic.